The 2018 FKF Women Premier League(WPL) is set to kick off on Saturday, February 24, 2018, with nine matches on the cards across the country. Unlike in 2017, this season will see a unified league, with 16 teams set to compete in a round-robin format. This is aimed at raising the levels of competition in the league, with a long-term view of improving the quality of players called up to the National team. “A unified league is a positive step, especially for us as coaches,” alluded Mathare United Ladies assistant coach Ann Aluoch, who also serves in the National U20 Women team technical bench in an interview with footballkenya.org. “It will not only raise the levels of competition but will also improve the match fitness of our players, which will be good for our National teams,” she added. Further, all the 16 clubs taking part in the league are set to get annual grants of up to ksh 750, 000 from FIFA through FKF. This is besides the prize money at the tail end of the season, where the winner is set to pocket ksh 250, 000. The 1st runners-up will take home ksh 150, 000 while the third-placed team will get ksh 100, 000. “We have decided to invest funds from the FIFA Forward Football Development Programme in the growth of the women league by facilitating the clubs through grants,” said FKF General Secretary/CEO Robert Muthomi. 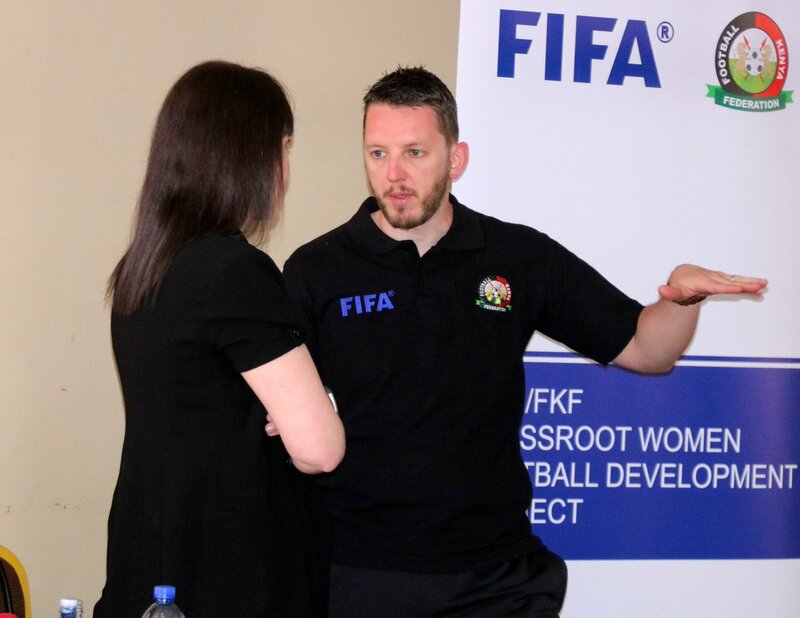 “This is in consonance with our commitment to improving the levels of Women football, as well as FIFA’s intention to provide tailor-made support for football development to its Member Associations,” he added. FKF will in the meantime carry on with the provision of ambulance services and security during matchdays, as well as payment of match officials and hiring of all venues, just like last season. Also, in the pipeline, is a Women knockout competition set to kick off in June. The tournament shall involve all Women Premier League and Division One clubs as well as region winners of the Chapa Dimba na Safaricom Youth tournament. Vihiga Queens won the 2017 edition after a 2-1 win over Thika Queens in the playoff played in December last year at Camp Toyoyo. Both clubs had emerged champions in their respective eight-team zones. The Champions will kick off their title defense on Sunday against Eldoret Falcons at the Mumias Sports Complex. Runners-up Thika Queens, meanwhile, will play two matches away: against Wadadia on Saturday at the Mumias Sports Complex and Kakamega Leeds (formerly Vihiga Leeds) on Sunday at the Bukhungu Stadium.